Dr. Sussman is board-certified in Internal Medicine and Allergy/Immunology. 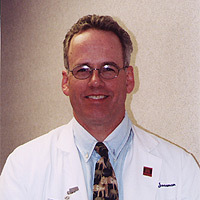 He graduated from Philadelphia College of Osteopathic Medicine and served a fellowship in Allergy and Clinical Immunology at Thomas Jefferson University Hospital. Dr. Sussman is a Diplomat of the National Board of Osteopathic Medical Examiners. He is a clinical assistant professor in the Department of Medicine, University of New Mexico Medical School. He is an active member of the staff of Los Alamos Medical Center and University of New Mexico Hospital, and on the consulting staff of St. Vincent Hospital in Santa Fe. He serves on the New Mexico State Board of Osteopathic Medical Examiners. He is included in the Fourth and Fifth (most current) listings of The Best Doctors in America. He has received the Distinguished Service Award from the Northern New Mexico District, Boy Scouts of America. He is a Fellow of the American College of Physicians. He and his wife, Susan, have three children. Dr. Sussman has been an investigator in clinical research studies for allergic rhinitis, asthma, pneumonia, and skin infections. Dr. Sussman is accepting new patients for consultation for internal medicine, allergy, immunology, and pulmonary problems.